Instagram’s user base grew by a third in 2017. It won’t be long before it hits a billion users. And with a slew of exciting changes and new features, it’s only getting better with age. But even brands with the strongest Instagram strategy need to be looking ahead. User expectations will evolve with the platform, which means that today’s strategy can’t guarantee results in the future. 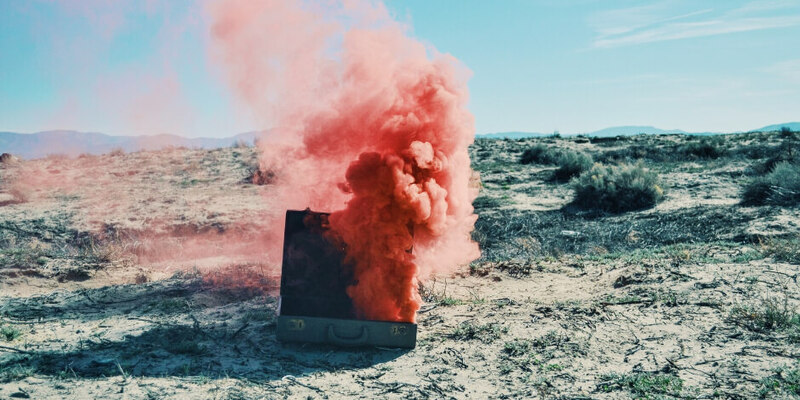 To help you stay ahead of the curve, we’ve rounded up some expert-informed predictions for Instagram in 2018 and beyond. Instagram has over 800 million monthly active users and is showing no signs of slowing down. Many of those new users belong to Generation Z, so marketers would be wise to get to know this important demographic. Instagram is also growing in popularity with older adults: there are currently more 45- to 54-year-olds on Instagram than 13- to 17-year-olds. As Instagram succeeds Facebook to become the new home for brands, it will become an essential part of every company’s social strategy. Regardless of who your customers are, it’s likely that they’ll be on Instagram in the years to come. There are already 25 million companies using Instagram, but that number is likely to grow dramatically in the next few years. 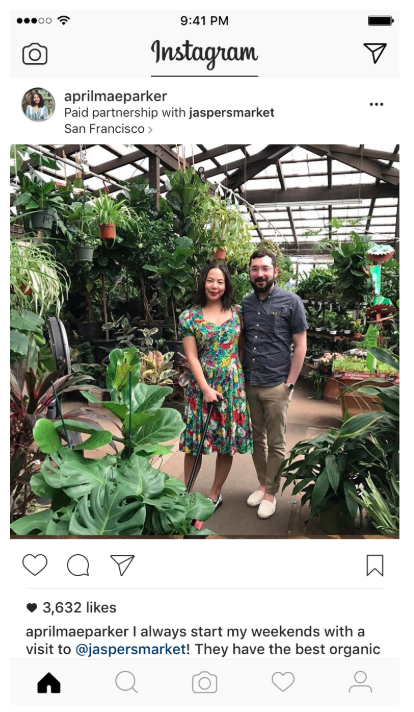 Want to bring your business to Instagram? Here’s everything you need to get started. Augmented reality (AR) was a hot topic at the Facebook F8 developers’ conference. Mark Zuckerberg announced that the Facebook AR effects studio would debut on Instagram in 2018. This feature will allow anyone to create custom filters, face effects, and other visual elements. These elements will interact with users and their surroundings in Stories. Instagram also plans to customize effects offered to users, based on the accounts that they follow. Compared to a platform like Snapchat, this will offer a more tailored experience. Users will be able to try out effects and filters they see on their Stories feed, adding a sharable element. Interactive content is a growing trend, and AR/VR is going to play a big part in it. By 2020, revenues will likely exceed $162 billion and 135 million people will be users. For Instagram’s Gen Z users, 22 percent of whom are already using geofilters each month, the addition of this familiar feature will be especially welcome. The possibilities with AR are endless: allow customers to virtually try out a product or service, or get a 360-degree view of a store or event. Companies that capitalize on this emerging technology to create fun, immersive content will reap big benefits. In late 2017, Instagram added the option to follow hashtags as well as accounts. This change allows users to see more of the content they’re interested in, and curate their feeds by topic. And at the F8 developers’ conference, they announced changes for the “Explore” section, which will soon be grouped by topics. Topics will be populated by relevant hashtags, making it easy for users to dive deep into niche categories and interests. Hashtags have always been a valuable tool for boosting the visibility of your posts, and these updates make them even more important. A targeted approach is key: you can’t just max out the 30 hashtag limit and hope for the best. Instead, research the hashtags your target audiences are following, and use them strategically. Before these changes take effect, learn how to master hashtags to grow your audience. Unless you’ve been under a rock for the last few years, you know that social video is exploding. In 2017, Instagram reported that the time users spent watching videos increased by 80 percent over the previous year. In the same period, video content quadrupled. Over 300 million people watch Instagram Stories every single day. At this point, there’s no question that video needs to be a part of your Instagram strategy, and it’s only going to get more important in the years ahead. Especially live videos, which users can’t seem to get enough of. A study from Livestream and New York Magazine found that 82 percent of users would rather watch live video than view a social post. Cisco predicts that live video will grow 15-fold between 2016 and 2021. And users spend three times longer watching live content, compared to other types of video. 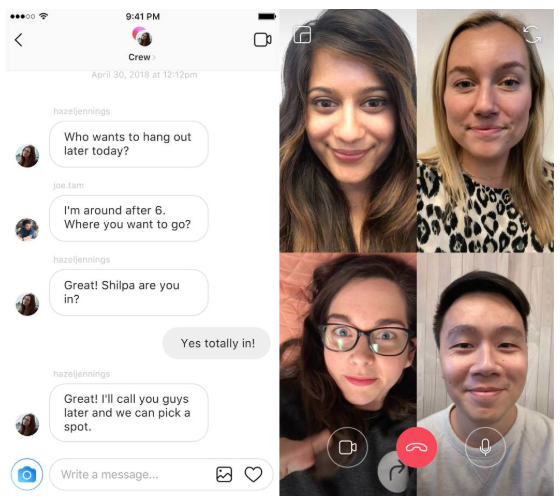 No wonder Instagram decided to launch video chat for users to score an endless fix. Live video can be intimidating, but it’s also a great opportunity. Audiences don’t just want to be entertained; they want to have a conversation. If you’re the only one doing the talking, you won’t keep their attention. Master the best practices for live video and start using this format to connect with your audiences. With its focus on strong visual content, Instagram has always been the perfect place to show off your products. Unlike on Facebook, where people want to see posts from friends and families, users on Instagram are eager to discover and follow brands. Who among us has not made the journey from Instagram post to shopping cart in the span of a single elevator ride? 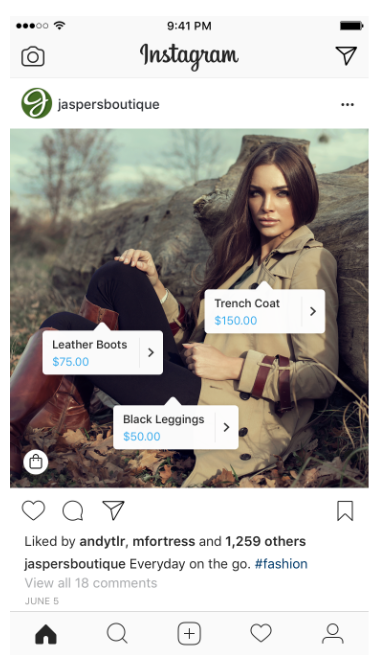 With the debut of in-app shopping in late 2017, Instagram commerce is about to get even bigger. Now users can shop directly from brand accounts, tapping the screen to see item details and going directly to a website to buy. Brands can tag up to five products per post, or 20 per carousel. As Hootsuite’s CEO Ryan Holmes pointed out, in-app shopping is old hat for platforms that dominate outside of North America, like WeChat. But as our continent catches up, audiences and brands can expect a bigger focus on making sales on Instagram in the months ahead. It’s not as simple as tagging your products and waiting for the sales to roll in. If anything, the increased visibility of products for sale means you need to work for yours to stand out. As ever, the focus needs to be on creative, eye-catching, and engaging content. Here are some tips for driving sales using this new feature. Influencer marketing is very effective with younger users, who make up a growing majority of Instagram users. And among Gen Z, online influencers can have even more sway over purchasing decisions than celebrities. Their perceived value is backed up by numbers, too: businesses report a $6.50 return on investment for every $1 spent on influencer marketing. Recognizing this trend, Instagram is creating tools and guidelines for influencer marketing. For example, they introduced a Paid Partnerships feature in late 2017, which makes it clear when a post is sponsored. Instagram’s Millennial and Gen Z users don’t mind being advertised to, but they want honesty and transparency. This new feature allows companies and influencers to be clear about their relationship. An influencer who is aligned with your brand values and voice can be a great asset. Word-of-mouth accounts for 20 to 50 percent of purchasing decisions, and adds credibility and visibility to your brand. Making influencer marketing a part of your strategy is a smart move in 2018 and beyond. Check out this guide to working with Instagram influencers to get started. Social media isn’t all wedding hashtags and dog photos; there’s a dark underbelly, too. In recent years, bullying and harassment have emerged as important concerns for all social media platforms. So the announcement that Instagram is launching a bullying filter was a welcome one for many users. The new filter will automatically filter negative comments related to appearance and character. While this will have more immediate impacts for individual users than brands, the outcome will be a safer, more welcoming platform. Right now, companies on Instagram are riding a wave of high engagement. But it’s not likely to last forever. More algorithm changes will inevitably arrive, and they’ll impact engagement rates, as we’ve seen on Facebook. Users may also reach a saturation point as Instagram grows in popularity, and start tuning out the endless parade of content in their feed. Companies should expect a decline in organic reach over time. When that happens, the best strategy will be a focus on quality content and a diversified ad strategy. Don’t expect that one tried-and-true method will work forever. 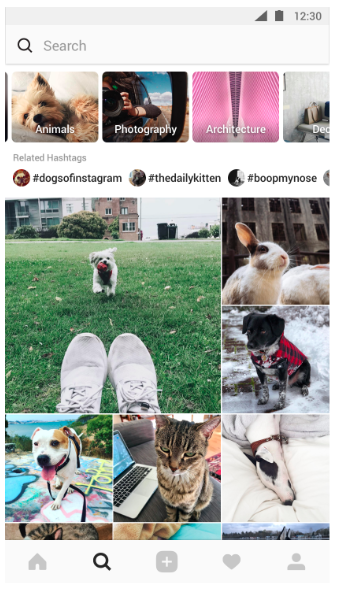 Pay attention to emerging features on Instagram, like Story Highlights, and incorporate them into your strategy to stay fresh. Re-evaluate and adjust your marketing strategy regularly. Most importantly, listen to your audience and engage with them often. Get your Instagram strategy ready for the future, alongside your other social channels, and save time using Hootsuite. From a single dashboard you can schedule and publish posts, engage your audience, and measure performance. Try it free today.